From shop fronts to the largest glass buildings in the area. 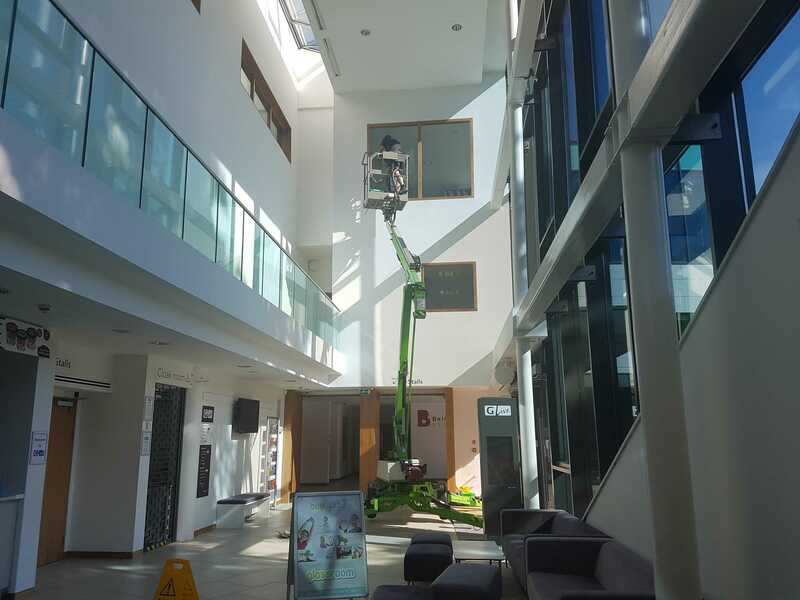 We provide various commercial window cleaning services. 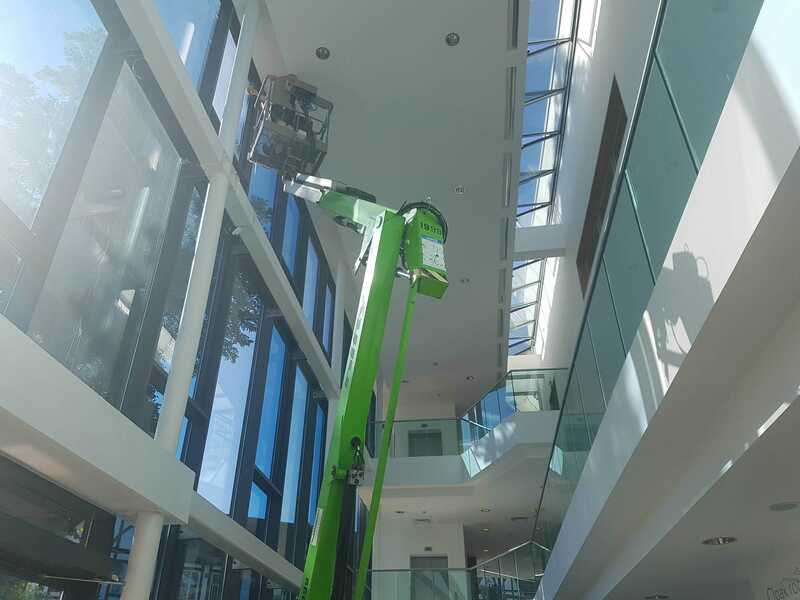 Including high internal and external glass cleaning, we are qualified for mobile elevating work platforms (Mewps) to give the safest access to hard to reach areas, with Health and Safety, and First Aid qualifications we can provide full risk assessments and method statements to ensure all work is done to a very high standard of safety. 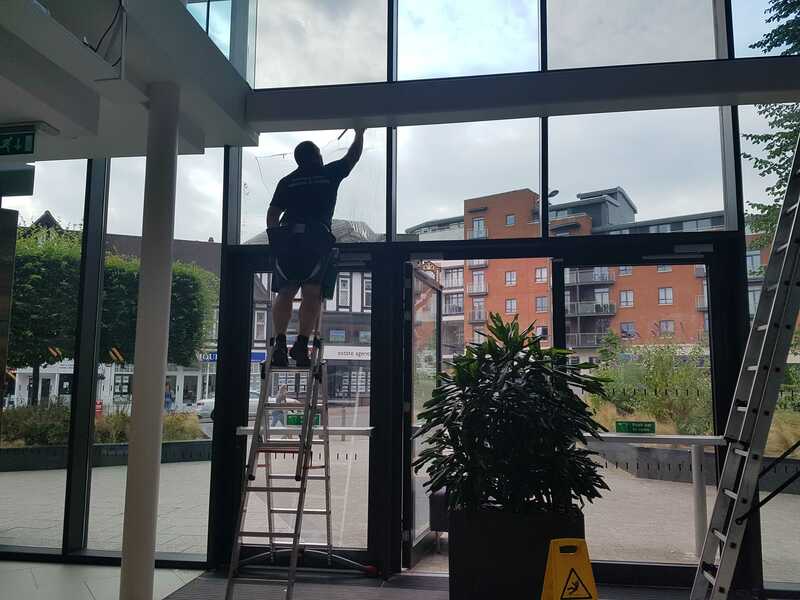 We have full public liability insurance and are additionally insured for working on the glass itself You can schedule us to come before opening hours on a weekly, fortnightly or another basis. Or if your not sure on frequency feel free to schedule an appointment and we can chat through the most cost effective options and frequencies. We quote for and do exactly what we are asked, we don’t quote and then do the minimum or what we can get away with, we don’t cut corners we clean them!